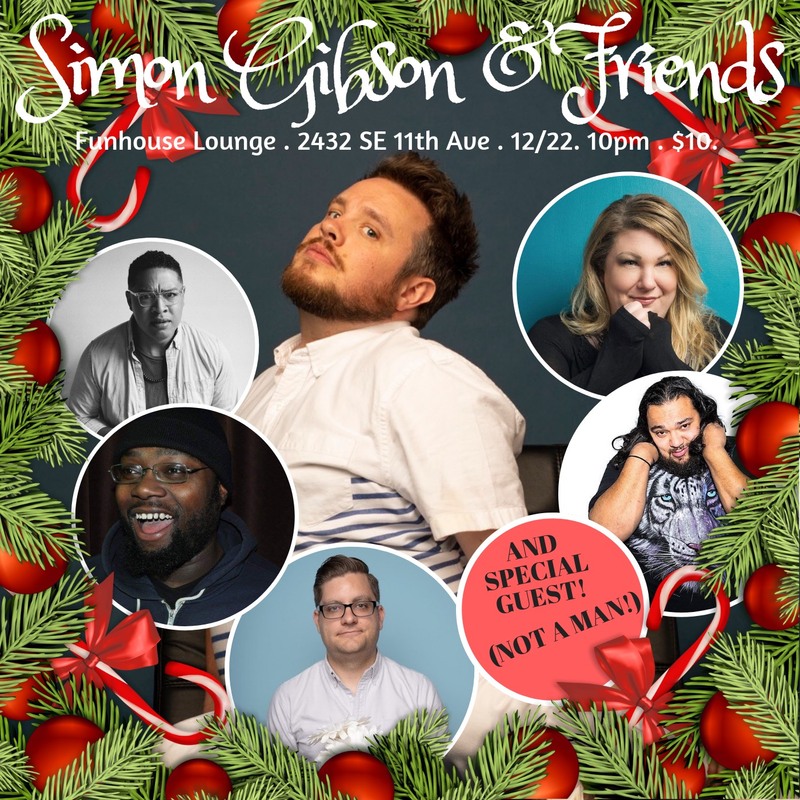 Simon Gibson headlines the Funhouse Lounge! Join comedian and Portland’s prodigal son, Simon Gibson as he welcomes some of his favorite Portland comics for a night of booze, merriment and laughter! Simon Gibson’s credits include: Last Call w/Carson Daly on NBC, “Inside Jokes” on Amazon Prime (starting November 30th!) and the Just For Laughs Festival in Montreal.